The main purpose of sending GSAT – 29 with the GSLV-Mk III Rocket was to provide internet connectivity for the state of Jammu and Kashmir and North East region of India. SRIHARIKOTA: India’s heaviest rocket, the GSLV-Mk III, carrying the GSAT-29 Communications Satellite, was launched in the outer space of the Satish Dhawan Space Center in Sriharikota on Wednesday (14 November 2018) night. The geosynchronous satellite launcher (GSLV-Mk III) is 43.4 meters tall and weighs 640 tons. The countdown to the launch of the rocket began at 2:50. Tuesday itself. ISRO Tweeted: ‘Mission accomplished’ after the successful launch of the satellite today. 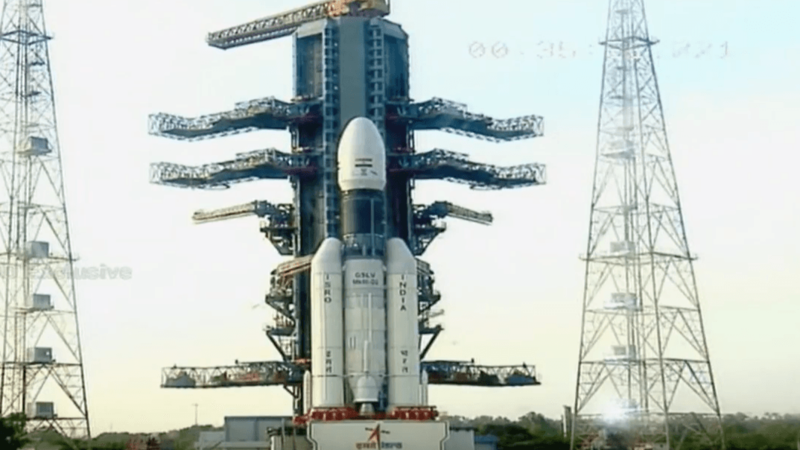 “This is the second development Rocket of the GSLV-MkIII-D2 and will launch a very important high-speed satellite, the GSAT-29, which will be useful in Jammu and Kashmir and in the North East region.” It is for connectivity under the Digital India program. “said the President of ISRO, K Sivan. Within 16 minutes after takeoff, the rocket will launch the GSAT-29 and geolocation of Geo Transfer Orbit (GTO) of 3,423 kg. Then, the satellite will be placed in the last geostationary orbit (GSO) at an altitude of 36,000 km from Earth. With a 10-year lifespan, the GSAT-29 satellite carries high-speed Ka / Ku band communication transponders designed to meet the needs of users, including those in remote areas. In addition, several new technologies will be demonstrated, such as the Q / V bandwidth payload and the data transmission through an optical communication link. This will help in the realization of future advanced satellites, said ISRO. Prime Minister Narendra Modi Congratulated by tweeting on Twitter to the ISRO team today. The three-stage GSLV-MkII D2 launcher is also very promising. “This vehicle (GSLV-MkIII) will launch the Chandrayaan-II, as well as the manned mission and we are preparing for it,” said Sivan. Chandrayan from ISRO: I expect to send an orbiter, a lander and a rover to the moon in early January 2019.